Yeah, what the hell. Above is a photo of someone with a goddamn kangaroo in Detroit, hopping down a street on the city’s west side. Why is this happening? I don’t know. Detroit’s had some past moments of wild animals being found in unusual settings—but a kangaroo? 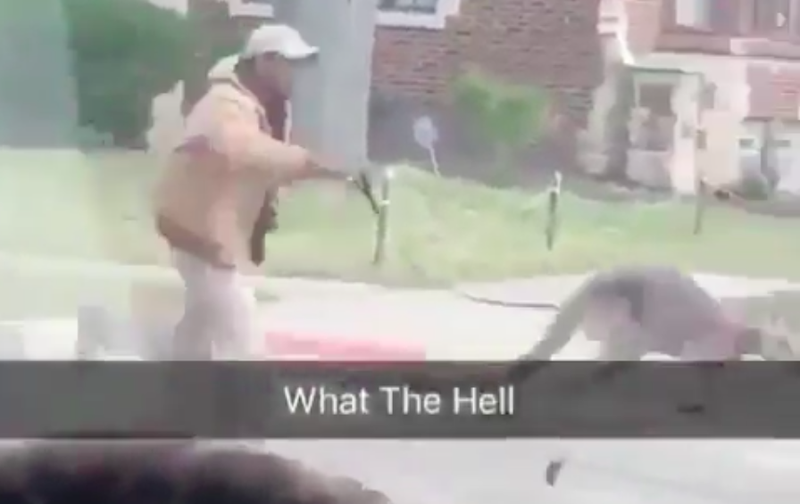 No one seems to know just yet how the kangaroo found itself in a northwest Detroit neighborhood, on a leash, bopping up and down in an uncomfortable show of sorts. It’s not from the local zoo, according to the Detroit Free Press. Poor thing. By the looks of it, the kangaroo was hopping down the street to a group of spectators, which, by my fair judgment, isn’t a natural environment for the animal. Where&apos;s A Bad Place To Walk Your Dog?